This German longsword has a Oakeshott type XVIII blade, steel fittings, and an etched wheel pommel. The blade is 1065 tempered high carbon steel with a hollow ground edge. 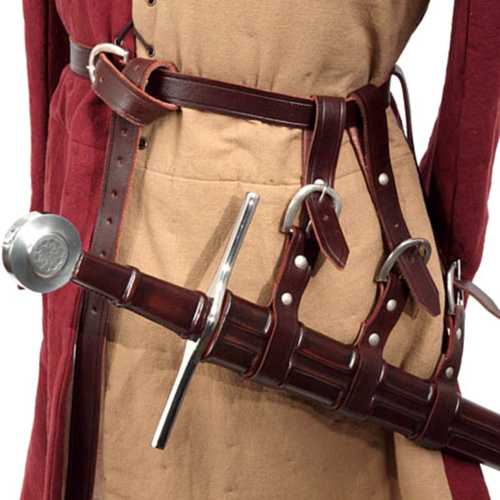 The leather wrapped woood grip has raised bands for a firm grip, and the sword comes complete with an ornately scuplted leather scabbard with hangers and sword belt included. 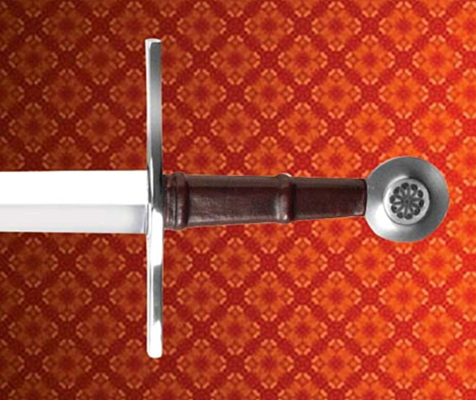 Type XVIII swords (and sub-variants) ruled European battlefields throughout the 15th century.